A local cleaning business excelling in the cleaning industry for over 10 years. Specializing in commercial cleaning, new construction clean up, and of course, making your vacant turnovers look brand new again! 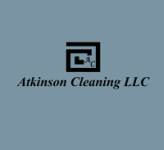 Our mission is to make your business or property shine by providing the essential cleaning services at an affordable price. "You can concentrate on what you do best, and we will concentrate on what we do best!"